Hello, my name is Nitin Chhoda, CEO of In Touch EMR. As a co-owner of an industry-leading electronic medical records software that includes scheduling, clinical documentation, billing, practice management and referral generation modules, I’m often asked how my partners and I decided to “get into this whole thing,” and there’s a very simple reason why. We Literally Had No Other Choice. 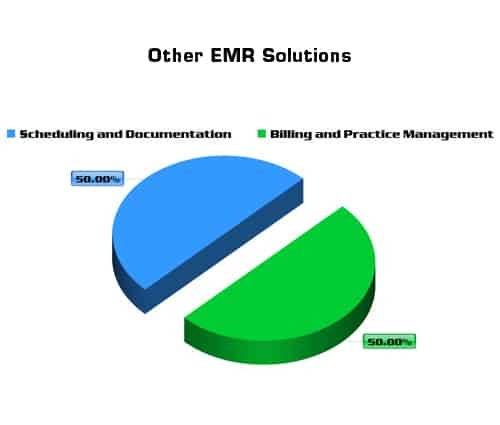 As a private practice owner, I’ve been using an electronic medical records system for several years and while I always knew that EMR companies were a dime a dozen, I didn’t truly realize just how INCOMPLETE some EMR vendors were until March 2010. The Affordable Healthcare Act, colloquially known as Obamacare, was signed into law on March 23, 2010, a legislation that encompassed more than 2,500 pages and destined to be the biggest change in healthcare in more than 150 years. Overnight, we found ourselves living in an age of ‘regulated care’, one in which the pressure to document effectively and demonstrate superior outcomes was no longer a ‘carrot’ from the federal government, it was a stick. The practice owners that didn’t adapt would find themselves in a very uncomfortable position very quickly. I knew back in early 2010 that…. The fact is – Obamacare is going to force private practice owners to become more efficient, whether we like it or not. Gone are the days where all you had to do was to see patients, bill the insurance company and get paid. Functional Limitation G-Code reporting, PQRS reporting, meaningful use criteria, multiple procedure payment reductions are just the tip of the iceberg. The pressure for ‘defensive documentation’ is increasing each and every day. This has led to the emergence of several EMR companies in the medical and rehabilitation space. Most of the companies do a decent job creating and marketing complex, well rounded electronic documentation systems. The only problem is – They focus on two things, and two things alone. This seemed incomplete to us, and we knew there had to be a better way. I have personally talked with several private practice owners whose revenue was declining rapidly despite using robust, comprehensive documentation software. They were documenting themselves out of practice and heading towards bankruptcy despite their best intentions. We Stumbled Across the Missing Link. As you can imagine, the pressure on every single private practice owner to treat, document and maintain cash flow is significant. You work hard to treat patients, hire staff and invest in software to run your practice. You spend hours treating patients only to find that there’s more regulation round the corner and decreasing reimbursements, and that bigger competitors with more dollars are outspending you and stealing your patients. And your EMR vendor is often a part of the problem instead of being a part of the solution. You see, the reality is that over the years, we have lost sight of one simple fact. Software should help you meet the guidelines for medical necessity, submit claims efficiently, help you get paid, and keep patients coming back. Your software should help you generate compliant documentation; detailed notes that establish medical necessity for your services, and justify the codes you bill the insurance companies. Your clinical judgment, professional expertise and the ability to customize your documentation templates (among other factors) will ensure compliance. A system that adapts to your needs over time and automatically learns your patterns will improve your workflow and help you meet medical necessity. You should be able to generate claims, automatically ‘clean claims’, have them transmitted from your EMR software to your billing software, have them automatically batched and sent to the insurance companies within minutes. That’s not all. When the documentation and payment cycle is complete, the EMR product should empower you to market effectively using zero-cost or low-cost marketing strategies to keep patients coming back to you. And that’s just the tip of the iceberg of what EMR software is supposed to do for you. In fact, we like to think of an EMR system as delivering THREE attributes to help you grow your practice. We are here to tell you that your EMR system should give you more, a whole lot more. And that’s precisely why we got involved: there was a need—a glaring, desperate need—for a company like In Touch EMR to emerge, and we just couldn’t let that call go unanswered any longer. So we got to work, assembling a team of the best researchers, consultants, software engineers and customer support personnel you could dream of, and almost four years after that pivotal day when Obamacare was announced, we launched In Touch EMR – our premium EMR solution that we’re proud to use ourselves and recommend to all the clinicians who know us and trust us. One of my patients, Martha, came in for an evaluation and happened to say something that changed my views on EMR systems forever. Why not have one system for everything? In fact, wouldn’t such a system help me simplify, and, most importantly, grow my practice? Referral generation and marketing (the missing link – non-existent in all other EMR systems). A system designed to grow your practice, not just help you run your practice. After all, as a retired private practice owner, I personally know how difficult it is to complete your documentation and run a practice at the same time. Ever since my days as a private practice owner, and more recently the founder of the Private Practice Summit, Referral Ignition training systems and my work as an author, seminar speaker and consultant, I have always been a big proponent of strategic documentation as a part of the bigger picture. And that’s the reason why we’ve helped thousands of private practices all over the world grow their practices using In Touch EMR. If you want to learn more about our “above and beyond” business and quality assurance practices, you can read about the difference with In Touch EMR by clicking here. Does this extensive planning and integration of scheduling, documentation, billing and marketing technology cut into our profit margins? Of course, it does. But that’s not why we are in the business of electronic medical records, we are in the business for you, your practice and your enterprise. Simply put, In Touch EMR was created so you could have a more integrated suite of products than any other in this crowded space. And as you browse the site and learn about our solutions, you will clearly see how we offer you a comprehensive, cutting edge solution that is cost effective and easy to learn. Again, at In Touch EMR we’re here for you. Welcome to the family. With gratitude and unwavering loyalty to you, the future of healthcare in our nation. Nitin Chhoda PT, DPT, CSCS is a licensed physical therapist in NJ, NY and a published author of “Physical Therapy Marketing For The New Economy” and “Electronic Health Records and Medical Billing Software Simplified – The Before, During and After Practice Workflow” (both featured on Amazon.com). Nitin has served on the editorial board of Perspectives Magazine and Impact Magazine, published by the American Physical Therapy Association (APTA). 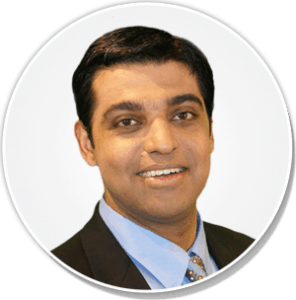 Nitin has written several articles on physical therapy marketing for IMPACT, ADVANCE and PT Magazine, in addition to this blog (a highly ranked blog on Google for physical therapy marketing) since 2007. He is also a contributor to www.EMRNews.com (a top-ranked blog on Google for documentation, compliance, billing and coding). He is the founder of the Referral Ignition training systems, the In Touch EMRelectronic medical records and documentation system for healthcare professionals, the In Touch Biller Pro electronic billing software for healthcare professionals, the In Touch Billing service – affordable outsourced billing services for any healthcare practices, the the Ignition Events and a mentor in the exclusive Private Practice Summit in New Jersey, the Private Practice Retreat in Las Vegas and a mentor in the exclusive Private Practice Mastermind group. He has presented on more than one occasion at the Private Practice Section Meeting of the American Physical Therapy Association, in addition to his talks at various wellness conventions in several locations in the US, Canada and Asia. He is also the creator of Therapy Newsletter and automated newsletter marketing system and Clinical Contact, a web-based mobile, email and voice broadcasting system with built-in appointment reminders to help you boost patient arrival rates and increase revenue. He is also the creator of the Ignition Time podcast on iTunes. 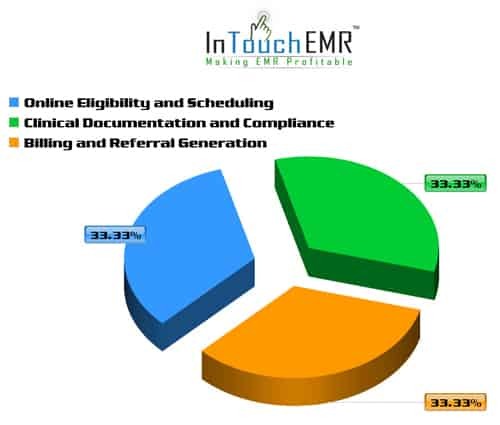 In Touch EMR has now grown to over 1000 clients and the company founders have been seen on CNN, Forbes, Huffington Post, Amazon, been featured as a ClearDATA success story, received the prestigious ONC certification, integrated with Microsoft’s cutting edge patient portal technology and initiated groundbreaking healthcare partnerships with companies like Novartis. All of this is possible thanks to clients across the country who have embraced In Touch EMR. Nitin reveals tips on marketing and referral generation for private practices on this blog. He has been featured on the Martha Stewart radio show, Investor’s Business Daily, the Bergen Record (amongst the nation’s 100 most widely circulated newspapers), CBS, Daily Herald, San Francisco Chronicle, and CH 14 television, Montreal.